3.57 Unrestricted acres - Commercial. Once the original Rosehill Dairy Farm, now sits this amazing and one of a kind property. 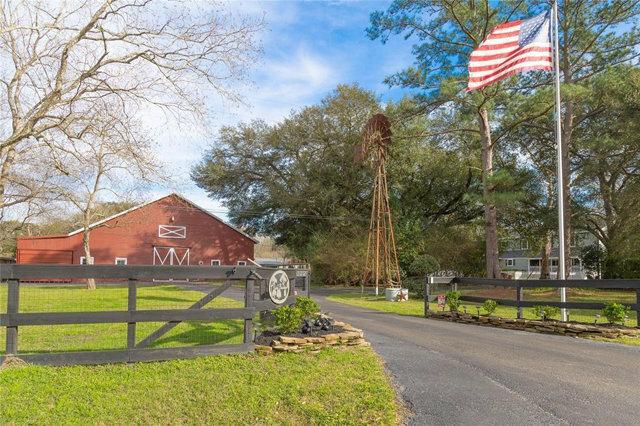 From the moment you pull through the gates you will be taken back by the lush landscaping and abundant presence of 300-400 year old trees that stand tall throughout this property. The main house is 4,761 sqft and has been completely updated.New Roof in late 2018, New ACs in 2016 and complete remodel throughout.Sitting above the garage is a nearly 700 sqft 1bed/1bath apartment with full kitchen. The guest house is another 2000+ sqft 4bed/2bath, perfect for elderly parents or to run a business out of.The barn is over 8,000 sqft and has a man-cave and guest bathroom. The grounds boast a pool, spa, basketball/tennis court, and even a real life size doll house. This is the perfect opportunity for so many different applications (home, business, wedding venue). Conveniently located right off of 2920 and easy access to 99, the possibilities are endless here.